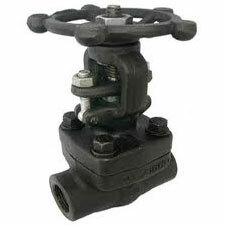 AMTECH forged steel Globe Valves are made from Forged -A 105,Forged A 015N , F-11,F-22,F-304,F-316,F-304L and F-316L etc. We have 800#,1500# and 2500# rating valves. We manufacturers above 1500# rating valves sealweld design consider safety factor.